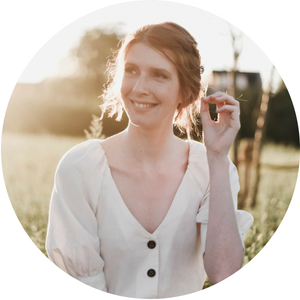 A beauty post on The Ginger Diaries. What a wonder that you get to live to see this great day! 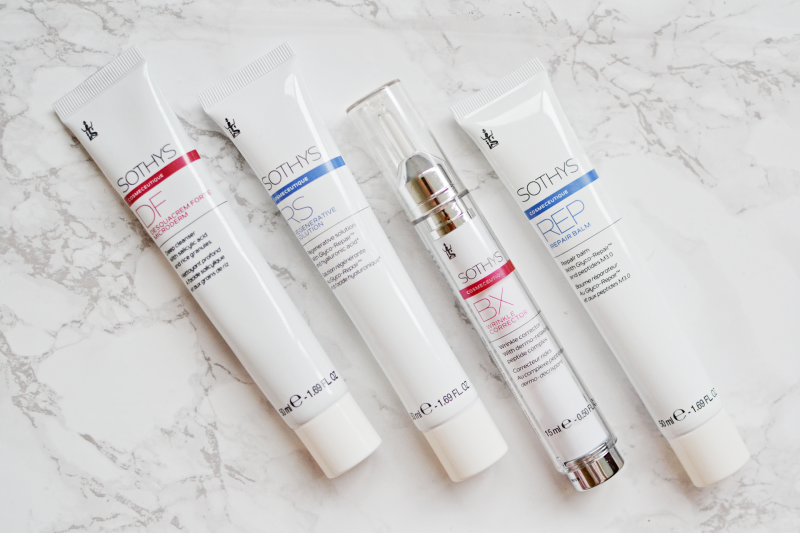 I have another wonder I’d like to talk about: Sothys skincare. Sothys truly is a hidden gem among the skin care brands of this world. Let me prove my point. Everyone, Raise your hand if you’ve ever heard about Babor Skincare. Now raise your hand if you’ve ever heard about Sothys before. I imagine a lot less hands are raised. And that is not okay. People, you’re missing out! Sothys is a French beauty brand that is commonly used by professionals in beauty salons. The reason why you might not be familiar with the brand yet, is because it’s only being sold in those professional salons. You won’t find Sothys in your local pharmacy or drugstore. They’re playing hard to get, but they get away with that. I have sensitive skin. If I put as much as one drop of liquid foundation on my face I will suffer irritation and break outs for weeks. The same story goes for skincare. I tend to have dry and pulling skin, especially after taking a shower. You’d think that using a hydrating cream would solve the problem and it does… excessively. A small amount of cream and I my skin would react by turning greasy in 1…2…3… and breaking out for weeks. You will understand that I shied away from make-up and skincare for the longest time. About a month ago I was cleaning out our bathroom cabinets and I found a set of Sothys products that I once received in a goodie bag. I thought I’d give the products inside a try, not expecting much of them at all. The box contains two types of products. Two products have reinforcing powers. The other two are meant to repair your skin. Let me describe each product in more details. This deep cleanser forms the first step in my skincare routine. I use it about once a week in the shower (the box says you could use it twice weekly). The rice granules gently exfoliate the skin while the other ingredients cleanse your pores from any unwanted dirt. My skin feels squeaky clean after use! Much like every scrub, this deep cleanser tends to dry out the skin, so following up with a suitable cream is advised! After my weekly exfoliation I like to follow up with a mask. 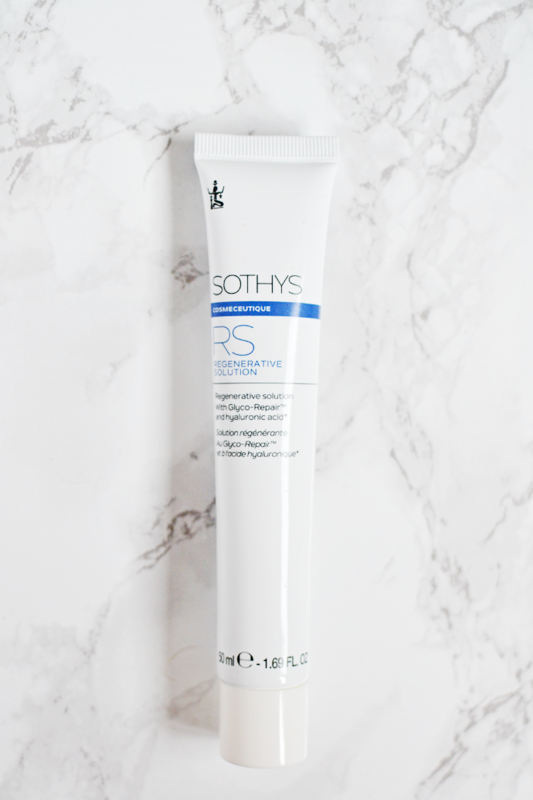 Sothys regenerative solution is a serum, but it can be used as a mask if you like. It’s meant to hydrate severely weakened skin and has I apply it to your face and neckline and leave it to soak in for about ten minutes. While waiting for the solution to work its magic, I usually condition my hair and/or shave my legs. When you’re done you can rinse off any excess. Even though this product is meant to hydrate, I find that it leaves my skin feeling fragile. I follow up with a hydrating cream. Yes, I use a wrinkle corrector. Yes, I am only 25-years-old. 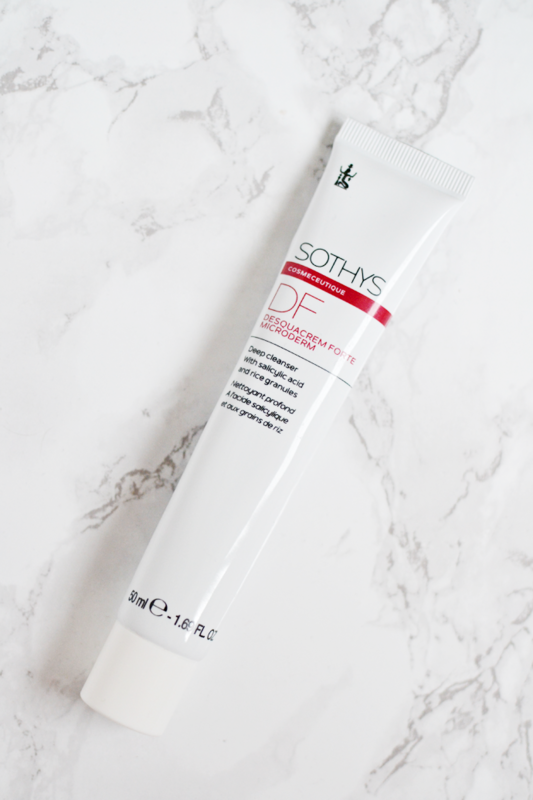 I use Sothys wrinkle corrector mainly to hydrate the fragile skin around my eyes and lips. Of all the products mentioned, this one has had the most noticeable effect for me. It’s relaxes the skin, makes it look fresh and more even. The wrinkle corrector is also meant to correct fine lines and other beginning wrinkles, but I can’t vouch for that considering that I don’t really have those (yet). I apply it mornings only, but the best effect is reached when you apply it both mornings and evenings. Meet my holy grail. Honestly. I fear the day that I run out of this magic balm. 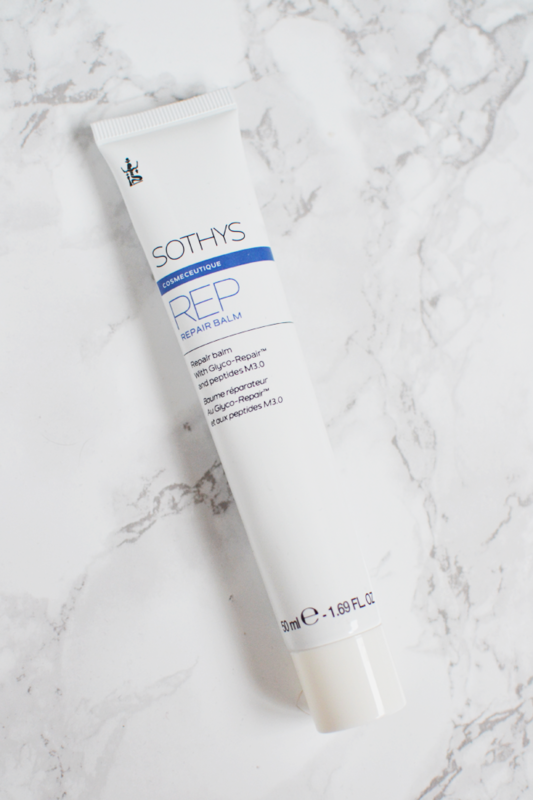 Sothys repair balm is what I use for hydrating my skin. I apply it to my face and neckline both mornings and evenings, religiously. A small amount of this product goes a long way. It leaves my skin feeling fresh and well-hydrated all day. In contrast to most skincare that I’ve used in the past, the repair balm doesn’t seem to cause break outs after long-term use. It actually calms my skin down! 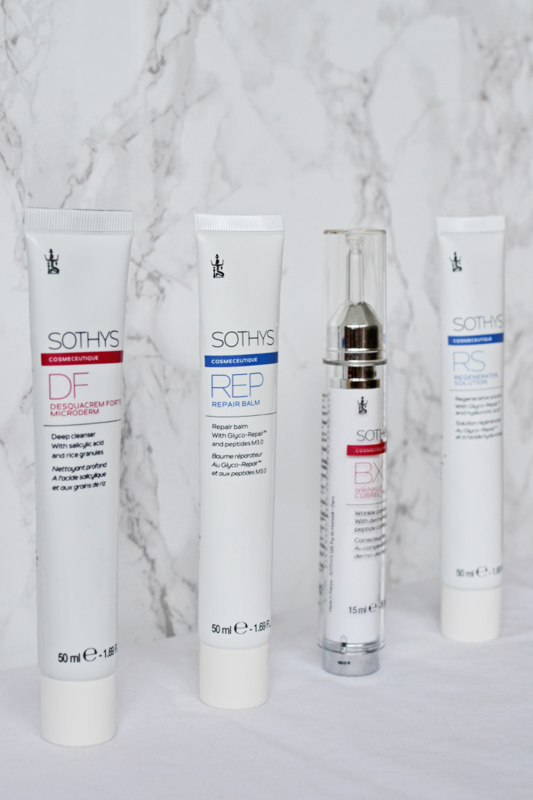 Sothys repair balm is supposed to work even better for those who’s skin has weakened after dermo-aesthetic operations or tattoos. After 30 days of testing I can say that for me, these products have worked well. No wonders have happened, but my skin as felt softer and more hydrated than before. 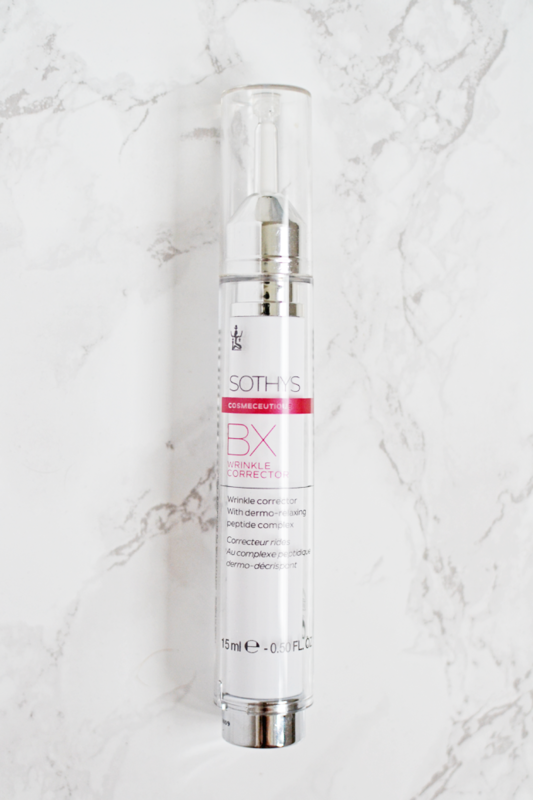 I’ve been able to use the Sothys products for 30 days without breaking out as excessively as I would with products I tested in the past, and that in its own is a miracle for me. Of course, being a woman, I still had to deal with the usual hormonal break outs around that certain monthly period, haha. But I dare to say that even those were less obvious than usual. The problem I have with blackheads remained about the same. Didn’t notice a decline, didn’t notice an increase either. It’s a shame that these are so hard to find as they sound like great products for you! And I’d never heard of the brand before at all.